Valve, a company which these days seems to do little more than purge our wallets with its Steam sales, might be about to launch a VR headset. Some photos of a prototype headset, sporting a Valve logo, have made their way onto the internet. 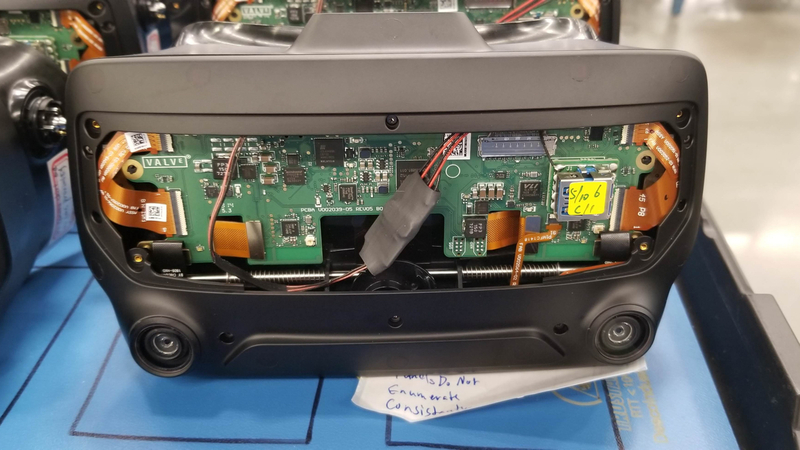 The images were leaked on Imgur and show multiple prototypes stacked together, as well as some close-up shots of the front and inside of the HMDs. Added to this, UploadVR claims to have some inside knowledge of what we're looking at here. The site says that these are indeed prototypes for an upcoming Valve VR headset, which will have a 135-degree field of view and a resolution comparable to the Vive Pro. One shot reveals two SteamVR photodiodes inside the headset for tracking, as well as two visible cameras and integrated headphones. There's also a similar padding on the headstrap to that on Valve's "knuckle controllers" but said controllers are nowhere to be seen in these shots. If this proves true, this would be the first VR headset from Valve, which has to date partnered with HTC on the Vive and Vive Pro. Building its own system would mark a shift in strategy, and signals that Valve may be about to get more serious about virtual reality. On top of that, UploadVR says Valve is planning to launch a Half-Life game with the headset, which would serve as more of a prequel to the series rather than the highly anticipated Half-Life 3. Valve previously said it was making three "full" games for VR, and it sounds like this is one of them. But when? A monitor in the background of one shot shows the date as 25 July 2018, so things probably look a little different by now, but it would be safe to bet on seeing something in 2019. Oculus might have more to worry about than HTC.